1. Jantaro, S., and Kanwal, S. (2017) Chapter 8 – Low-Molecular-Weight Nitrogenous Compounds (GABA and Polyamines) in Blue–Green Algae. Algal Green Chemistry-Recent Progress in Biotechnology. 1st ed. 149–169. 2. Kanwal, S., and Incharoensakdi, A. 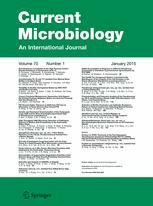 (2016) Extraction and quantification of GABA and glutamate from cyanobacterium Synechocystis sp. PCC 6803. Bio-protocol. DOI: https://dx.doi.org/10.21769/BioProtoc.1928. 3. Kanwal, S., and Incharoensakdi, A. (2016) Characterization of glutamate decarboxylase from Synechocystis sp. PCC 6803 and its role in nitrogen metabolism. Plant Physiol. Biochem. 99:59–65. 6. Haq, I.U., Ullah, N., Bibi, G., Kanwal, S., Ahmad, M.S., and Mirza, B. (2012) Antioxidant and cytotoxic activities and phytochemical analysis of Euphorbia wallichii root extract and its fractions. I.J.P.R. 11: 241-249. 7. Kanwal, S., Ullah, N., Haq, I.U., Afzal, I., and Mirza, B. (2011) Antioxidant, antitumor activities and phytochemical investigation of Hedera nepalensis k.koch, an important medicinal plant from Pakistan. Pak. J. Bot. 43: 85-89.